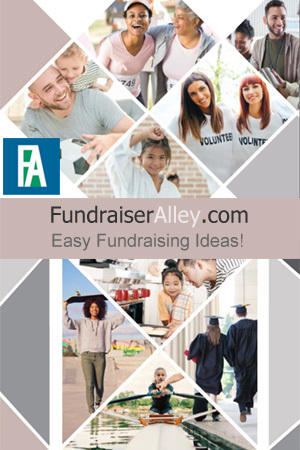 Taking orders with these fundraising brochures makes this a no money up-front, no risk fundraiser. The order-taker brochures will feature your custom tumbler design, making it easy to sell to friends, family, and fans. 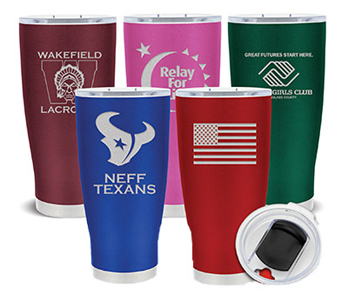 Tumblers are a popular fundraising idea for schools and any sports team, and even churches. 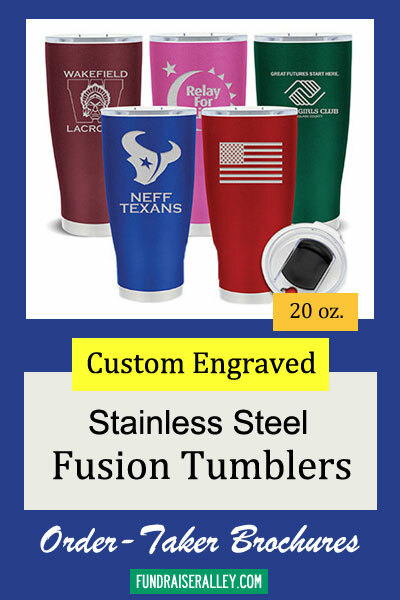 These quality 20 ounce stainless steel tumblers can be custom engraved with your name and logo. Sell for $25 each and earn a 48% profit. Shipping is FREE! There is a minimum order of 20 tumblers.